1. Pain is the last symptom of dysfunction. A patient’s back is often restricted or unstable for months or even years before it presents as a problem and they show up in a chiropractor’s office. In addition, the absence of pain is not health. While medication may be necessary in some cases, if you take a pill and the pain goes away, the dysfunction that has been causing the pain and stiffness still persists…the medication just dulls your brains ability to perceive it. Muscle, ligament and joint injuries can often develop as a result of long-term bio-mechanical dysfunction, sometimes from past injuries, making the area even more susceptible to future injury. The pain is your body’s warning signal, letting you know that it can’t take it any more. It is alerting you to a real problem that may have been going on for quite some time, but needs attention NOW. Taking meds every day to dampen that pain signal, doesn’t solve the problem, but simply turns down the volume for a while. Athletes choose chiropractors because we are movement specialists. 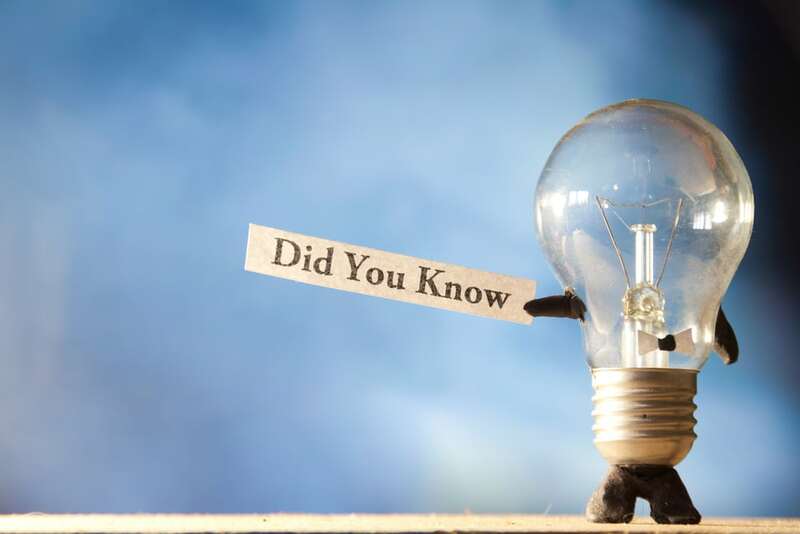 Chiropractors were spotted all over the Olympic coverage last year, and top athletes such as Michael Jordan, Tiger Woods, Michael Phelps, Tom Brady, Evander Holyfield, and Arnold Schwarzenegger have all been proud patients of chiropractors. These days it’s far more common than not for major athletes and sports teams to keep chiropractors nearby to help prevent injuries, speed injury recovery, improve balance and coordination, and give them a greater competitive edge. Did you know that every NFL team has a team Chiropractor? The nerves that travel through and control every function of your body originate at the spinal cord and their transmission may be disrupted if the joints of the surrounding spinal column are not moving properly. This disruption in biomechanical integrity combined with altered physiological function is what chiropractors call a subluxation. 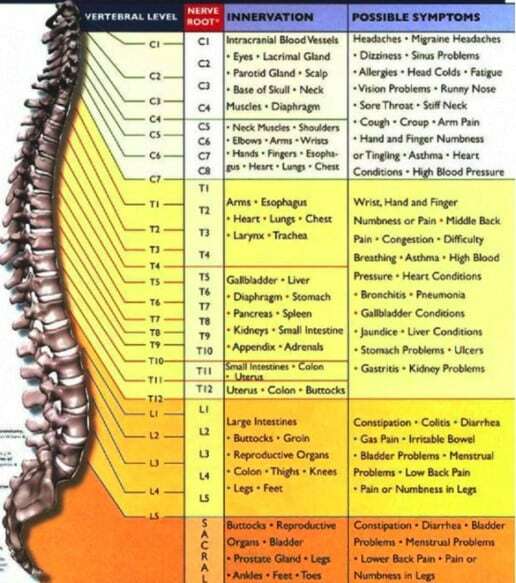 Below is a chart that illustrates the relationship of the spinal nerves exiting the vertebra branching off to the various organ systems. You can see why it is not uncommon for a chiropractor to treat a patient with back pain who also suffers from irritable bowel system, a patient with a subluxation in the sacral region who has been unsuccessful in trying to conceive, a patient with an upper back fixation and acid reflux, or a patient with vertigo which improves after having their neck aligned. Sorry to disappoint you, but a chiropractor will never fix your back. What we are able to do is restore proper motion in the joints, which relieves tension on the nerves and muscles and allows your body to do the healing that it is inherently made to do. As chiropractors, we believe that the body is a perfect organism in its natural state, and all disease comes from a disruption in the body’s proper transmission of signals by the nerves which affects its ability to heal and to defend against disease-causing agents. We never treat disease, we simply examine and assess to find which spinal levels are experiencing dysfunction, and we adjust them to restore proper nerve flow so the nervous system may work as efficiently and effectively as possible. 5. Chiropractic is for all ages. Many seniors aren’t aware of the benefits of chiropractic care which can help them not only with pain relief, but also increase range of motion, balance and coordination, and decrease joint degeneration. There’s no patient too young for chiropractic either! Chiropractors check infants moments after birth for misalignments of the upper vertebrae that may occur as a result of the birth process. In addition to supporting overall health and well-being, parents also take their children to chiropractors to encourage healthy brain and nervous system development, to assist with colic, asthma, allergies, bed-wetting and sleeping problems, and to assist with behavioral disorders. 6. We know about more than your backbone! This surprises many people who had no idea that chiropractors give advice on nutrition, fitness, ergonomics and lifestyle, screen for conditions unrelated to the musculoskeletal system and refer out to other practitioners when necessary. Chiropractors are also able to complete specialties in other areas such as pediatrics, sports rehabilitation, neurology, clinical nutrition, and acupuncture. Other than particular specialties and the differences in learning to adjust the spine versus learning to prescribe medication, our training hours are not dissimilar from that of medical doctor. 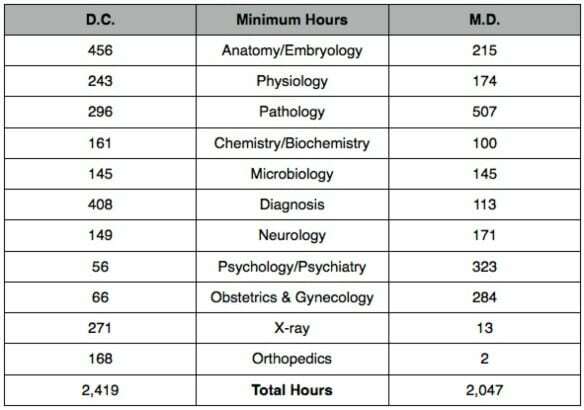 The following are the classroom hours for basic science requirements compiled and averaged following a review of curricula of 18 chiropractic schools and 22 medical schools. 7. Successful chiropractic patients accept responsibility. When somebody says that they tried chiropractic and it didn’t help, I cringe and get the feeling that they really missed the boat. Of course, there are cases with complicating factors, but I have heard this from people with straightforward chiropractic problems when it is very clear what has happened. In most cases, one doesn’t acquire back pain overnight, and it’s not going to go away overnight. If a weak core from years of sitting at your desk is to blame for the additional stress on your joints, I would expect a care plan including adjustments to provide relief, but once the condition is no longer debilitating, I would most definitely prescribe some exercises for you to do at home. I might also suggest we evaluate your nutrition if I suspect an inflammatory diet may be wiring you for pain. Sure, I’m always happy to adjust someone and make a living, but if you’ve been given homework and you don’t do it, don’t say chiropractic didn’t work when you’re feeling poorly again! 9. “I heard I’ll have to go forever” is a myth. You may want to see your chiropractor all the time once you’ve started because you didn’t realize how great it is to get adjusted, but your doctor won’t expect you to come with the same frequency as you did initially forever. Generally, if you come in with pain, once you’ve been treated for your initial complaint, you’ll be scheduled for more appointments to make sure proper motion is being maintained, then it will be recommended you return occasionally to be checked just like you would go to the dentist to get checked for tartar buildup and cavities. Of course, many people still choose to see their chiropractor weekly because it keeps them feeling their best. We have a maintenance schedule for almost everything in our lives, such as hair, nails, automobiles, pools, so why not our spines and central nervous system? I have wellness patients who prefer to get adjusted weekly, others who prefer every two weeks and others who come once a month. 10. Adjustments don’t hurt. There is no bone snapping or warrior-style pulling heads off spinal columns! The neck adjustment some chiropractors use causes anticipation for many new patients, but is actually much more gentle than they imagined, and involves a quick, direct thrust to a specific spinal joint. The sound an adjustment makes is called a cavitation and is being created within the joint causing gasses to be released from the joint capsule, which creates the popping or cracking noise. Chiropractic adjustments will not wear out your joints as some assume because they have been warned not to “crack their knuckles”. The knuckle cracking causing large knuckles or injury, by the way, is a complete fallacy. In fact, a study was performed on seniors and studied the outcomes of arthritis of patients who “crack their knuckles” and those who do not. The group that cracked their knuckles had less incidence of arthritis than those who did not crack their knuckles. But, be warned, spinal adjustments are applied in a specific direction to a specific vertebrae to improve the motion of your joints and limit the small dysfunctions that over time can lead to arthritis. It takes Chiropractors 5 years of post-graduate study and medical board licensing to be able to do what they do. Letting a friend, relative, coach or teammate walk on your back or “crack your back or neck is not wise or safe. Most people after an adjustment describe the feeling as being “lighter”, having greater ease in moving the body, and being able to stand up taller. ⟵Warning! Health without Drugs Ahead!